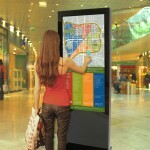 Our range of touchscreen displays are perfect for interactive applications in leisure, commerce and education. They are available in freestanding, wall mounted, trolley mounted and table-top designs. 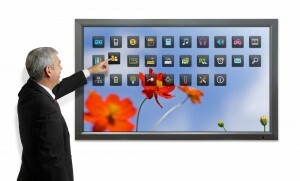 For more information on our range of touchscreen displays please contact AMT Media.